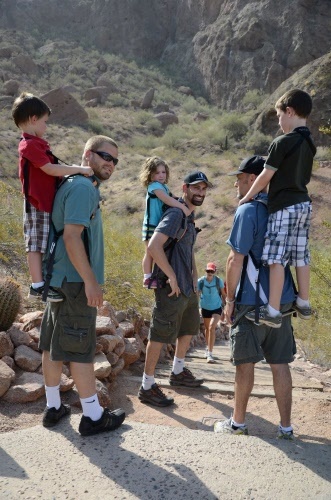 The Piggyback Rider disperses weight of the child more evenly than unassisted piggybacks. 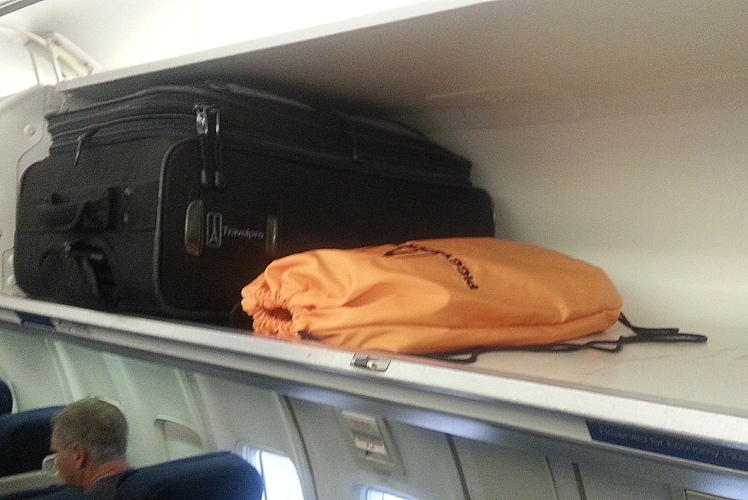 It also allows the child to see more and rest while on the move. 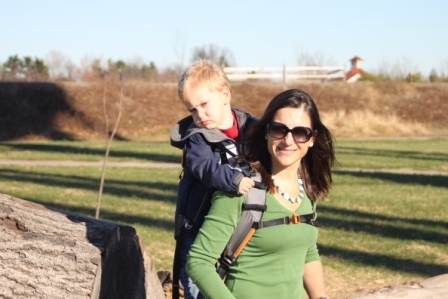 Designed for toddlers and older children, the Piggyback Rider is a compact, lightweight, sturdy standing child carrier. 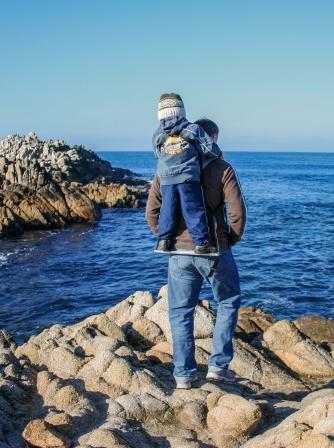 Utilising a 6-point safety system your child holds shoulder-strap grab handles, their body secured by the safety harness with two attachment clips and both feet standing firmly on the non-skid bar. The sturdy, unisex design works like a standard backpack, distributing the child’s weight at your core enabling a natural upright posture. 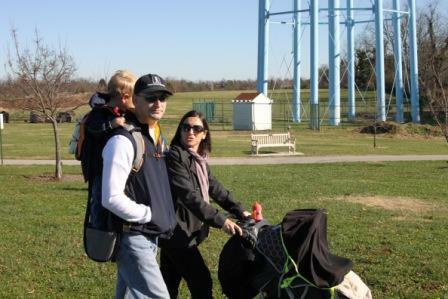 Parents and children are engaged in active transport with the Piggyback Rider carrier. 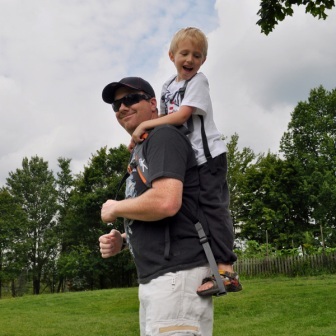 The Piggyback Rider standing child carrier has unlimited year-round use, while hiking, touring, shopping, walking, watching, exploring zoos, wandering a park, amusement parks, shows, sporting events, malls, markets and everywhere else you may go. Check out this US video of 3, 5 and 7 yr olds testing Piggyback with their dad. The Piggyback Rider standing child carrier is a unique backpack harness for carrying toddlers and kids and is unlike anything anyone has seen. 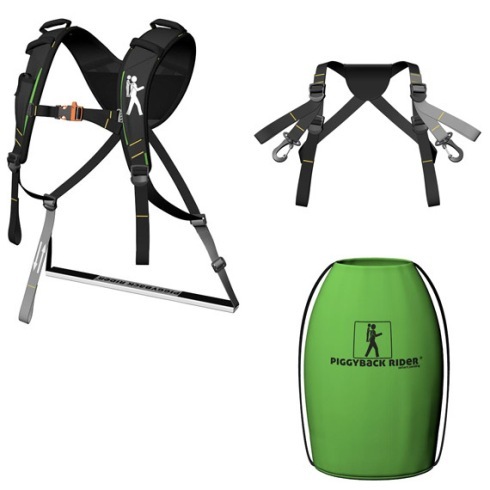 The Piggyback Rider® has a weight capacity of 27 kg. 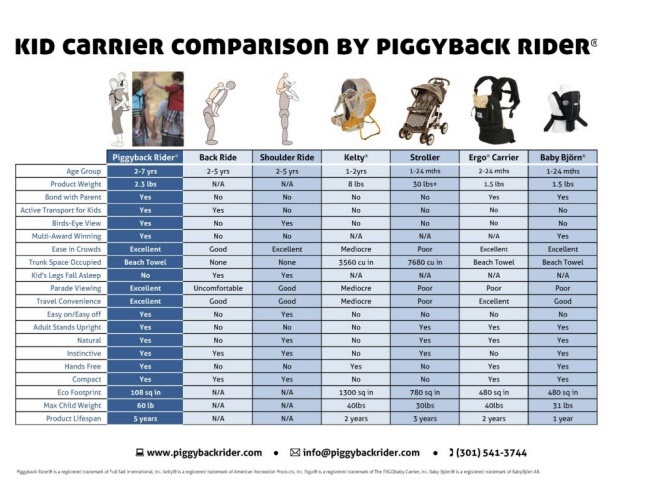 What is the suggested age use for a child on the Piggyback Rider? Yes. 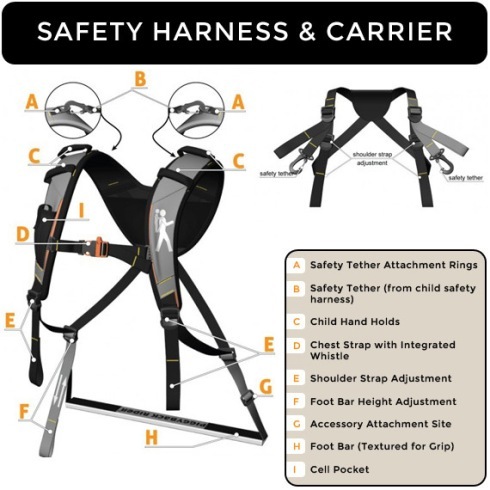 Every Piggyback Rider® carrier includes a child safety harness. It’s very easy, natural and instinctive. A few minutes in a controlled environment and both carrier and rider will be comfortable. We recommend an easy four-step process to mount the Piggyback Rider®: 1. Secure child harness, 2. 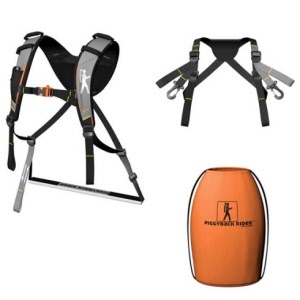 Connect child harness to carrier, 3. Squat down and allow child to mount the bar, 4. Stand up slowly. For dismount, follow the steps in reverse. We have several videos on our website to aid the first-time user. Currently the Piggyback Rider® is available in Australia only in grey/orange. 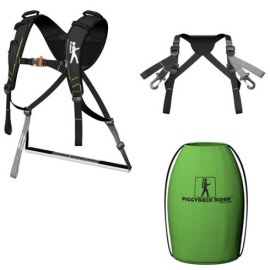 The Piggyback Rider® weighs approx 1.3 kg. Do you have instructional videos? Yes. 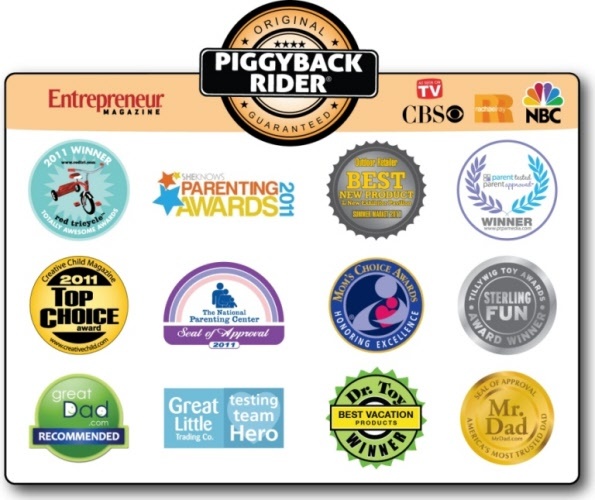 What are the key safety features of the Piggyback Rider®? The Piggyback Rider® should not be used while running, but is ideal for long walks where you can burn up to 359 calories per hour. Calculate the calories burned per hour here: http://www.caloriesperhour.com/index_burn.php. Just add the weight of your child to your body weight.